I headed over to Nordstrom this past weekend to check out the latest fragrance launches. I find the entire experience of fragrance shopping delightful. Amidst all of the beautiful bottles and the soft scents that mingle with each other, I find my happy place. I especially love when you find those few out of the dozens that stand out. Most of the time nowadays if you have smelled one, you have smelled them all. I was so surprised to find more than a couple that just wowed me. I am drawn to any fragrance with a vanilla base, and this vanilla is so sensually rich. I know some people do not like rich vanilla bases simply because the fragrance ends up smelling either very generic, too synthetic and artificial, or like overly sweet baked goods. You won’t get any of that from Tangier Vanille. Bulgarian rose gives the blend a hint of floral character, while amber and soft musk balance and add more depth. This is actually soft enough for a daytime fragrance, but so appropriate for evening as well. It rather reminds me of Kenzo Amour, and I love that! This is surely my new favorite from Aerin. Move over Prada Candy, you may have just been outdone! This is such a beautiful floral and sweet fragrance. Frangipani is the front-runner of the blend. You just do not see that flower utilized very often in fragrances due to its rather sharp note. The way the floral is blended with sweetness completely mellows it out and lets you appreciate the flower at its best. If you have a rather sensitive nose like I do, then you will be able to pick out the hint of beeswax. I go to a local bee store to buy the fresh raw honey that they make. The best part of going in there is the smell! They make beeswax candles. If you have never smelled a natural beeswax candle then you don’t know what you are missing. The fact that I can catch a hint of it in this fragrance makes me love it all the more. Even the liquid is a honey gold color! At first I wasn’t sure if this was intended to be a men’s fragrance or not. It certainly could be considered unisex in my opinion. It is actually really hard to describe this one. It smells fresh and crisp with a hint of floral and fruit, but not in an overly feminine way. I get soft woods and white musk, which softens the sharp citrus note of the rhubarb. This is one of those fragrances that you would wear if you truly want to smell unique. Did you ever have any of those Body Fantasies sprays as a teen? My favorite was the raspberry spray. At first spritz this fragrance brought me back to that. Mon Paris is a “an all grown up” and sophisticated version of that body spray, a creamy, fruity floral. I say all grown up, but the fragrance maintains a youthful flirtiness that still manages to pull off sophisticated. My favorite Nordstrom SA mentioned that she didn’t like it because of the patchouli. When she said that I was worried it was going to be another version of Flowerbomb, but not so. It has its own distinct aroma. I love that is great for warm weather. 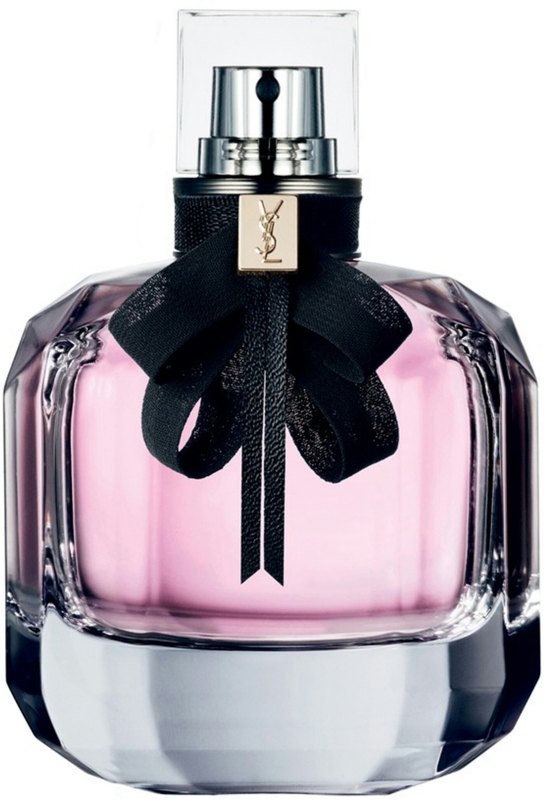 This is definitely my favorite fragrance from Yves Saint Laurent now. I used to joke with my husband that I would eventually need some sort of fragrance closet inside of my closet, now I think I actually might! I love Prada Candy… hmm might have to check out Prada La Femme! It smells so good! Not as heavy a Candy. So you can wear it year round.